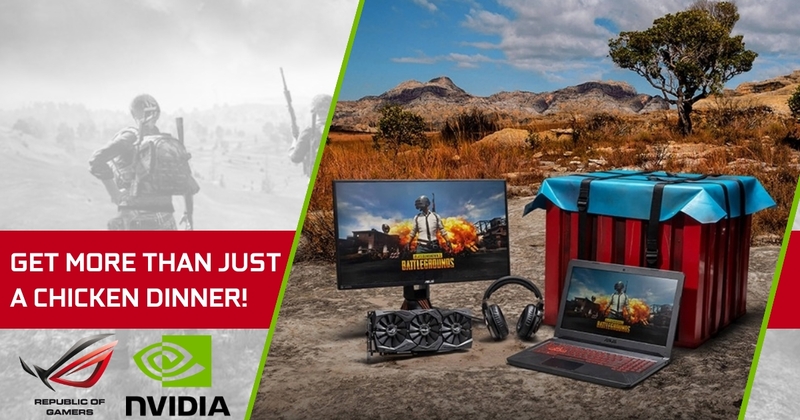 Good Graphics Card – Win a PUBG Loot Crate with ASUS! This promotion has now ended, see the latest Nvidia Promotions here! Another great promotion from Asus and Nvidia has just begun, this time specifically for gamers grabbing themselves Asus GTX Graphics Cards. Simply purchase yourself an Asus Nvidia GTX 10 Series Graphics Card between the 1st June and 12th August 2018 then register your awesome new GPU for your chance(s) to WIN! I say chances because depending on the specific model you buy, you’ll qualify for a different number of entries into the draw. Once you’ve got your new GPU be sure to register it for this competition on the Nvidia website linked below! Nvidia GTX Crew 2 BONUS! If you’re into arcade racing action but have always wanted to race on more than just ground, Ubisoft’s The Crew 2 is the racing game for you. With boats, planes, off-roaders, and high-performance racing cars, The Crew 2 offers unparalleled variety and immense amounts of fun. And adding to the fun, you can explore and move across the game’s vast open world by transforming into a boat, plane or car with the press of a button at any time. Having just enjoyed a bunch of BETA testing on PC, cranking up fidelity to its highest levels means you’ll need the fastest graphics cards around, the GeForce GTX 1080 and 1080 Ti. For that reason, Nvidia is kicking off a new Crew 2 GeForce GTX bundle when you purchase qualifying GeForce GTX 1080 and GeForce GTX 1080 Ti graphics cards, or Gaming PC featuring this awesome hardware, which will give you the keys to a free copy of The Crew 2 PC Standard Edition! 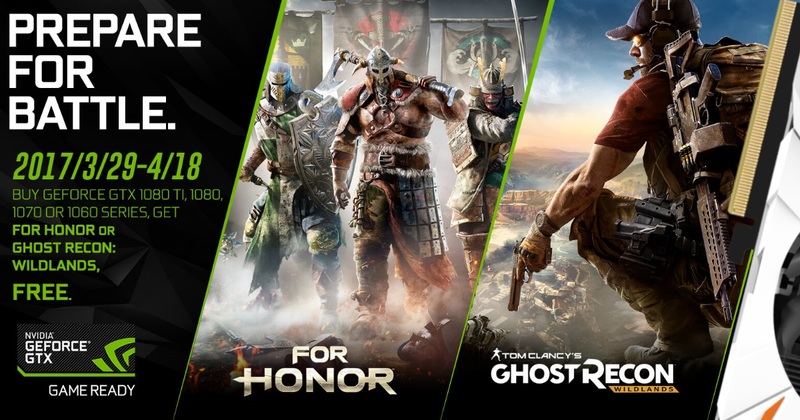 PREPARE FOR BATTLE – For Honor + Ghost Recon Wildlands YOU CHOOSE GTX BONUS! UPDATE: This promotion has now ended, you have until the 30th Jun to redeem your codes. Play a battle-hardened warrior in For Honor or go behind enemy lines to take down the cartel in Ghost Recon: Wildlands. For a limited time, claim your choice of these Ubisoft games as a bonus when you gear up with selected GTX 1070, GTX 1080, GTX 1080Ti graphics cards or Gaming PCs and Gaming Laptops featuring these beasts! As usual the hardest part is going to be deciding which game to choose, so let’s take a closer look at both options. First up – Ghost Recon: Wildlands! Bolivia, a few years from now. The country has become the largest cocaine producer in the world. The Santa Blanca drug cartel has turned the country into a narco-state, leading to lawlessness, injustice, and violence. The Ghosts, an elite US Special Forces team, is sent behind enemy lines to wreak havoc and takedown the cartel. This one enjoyed the largest turnout during the Ubisoft open beta phase and is best played with a group of friends, if you find yourself in solo queue being a helicopter pilot or driver for a bunch of randoms is still pretty darn fun as well! Next up – For Honor! This new hack’n’slash capture’n’hold game proved itself early on with some very beautiful graphics and a slick melee battle system that had us ramming our way through the ranks to take on opposing warriors in fierce hand to hand (or blade to blade) combat. Many, many hours have been spent in For Honor at GGPC NZ, the matches often become fantastically close battles with the skill based player matching systems working very well indeed – this one is truly exceptional if you play often, you’ll start to recognise opponents from previous encounters in game and the focus shifts from an all out battle to hunting each other down relentlessly with some face-offs lasting the entire round. Good Gaming PC – Design a GeForce GTX 1080Ti Chassis and WIN with Nvidia! Attention all designers – a really cool contest is on right now with a massive prize up for grabs – and New Zealand is on the list of eligible countries for this one! The GeForce GTX 1080 Ti is the most powerful gaming graphics card you can get, it deserves a PC gaming chassis worthy of its power. For this one they’ve highlight four chassis for us to choose from as a base for the design, from there we must design our build (inside and out, this must be more than just a paint job!) and then post it via Twitter or Instagram, tag @NVIDIAGeForce and use #UltimateGeForcePC. There are four judges who will be scrutinizing the designs, Jason (JayzTwoCents), Lee Harrington (PCJunkieMods), Peter Brands and Wei Zheng so make sure you put everything you’ve got into this one – these chaps are crazy good! What are you waiting for? 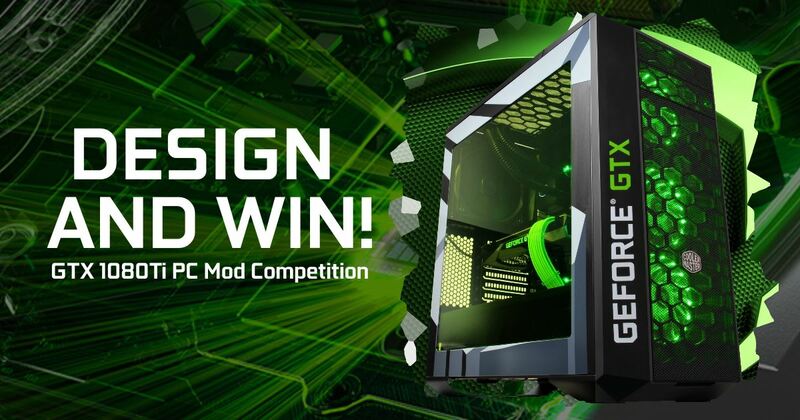 Make your own Ultimate Gaming PC design for the chance to win a GeForce GTX 1080 Ti and up to $10K (USD) in cash!